If you are looking for extra funds to help defray the cost of your long term care, then you may be missing out on a benefit provided through the Veterans Benefits Administration of which very few people are aware. These extra dollars can be used to pay for care in your home, in an assisted living facility, or in a nursing home. Attorney Emma Hemness is accredited by the VA. She can help you secure these benefits. And, through proper legal planning Emma can assist you in meeting the strict financial eligibility criteria discussed below. http://www.va.gov/ogc/apps/accreditation/index.asp and type in their name for confirmation. (A one time agent – usually a family member – does not need to be accredited). 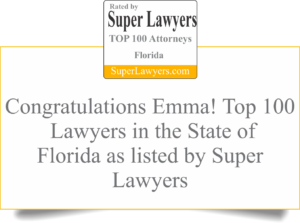 Attorney Emma Hemness has been accredited through the VA since 2008. When Is There a Fee for Assistance? Attorneys may charge a legal planning fee to assess whether there are any benefits you may be eligible for through the VA and develop a comprehensive plan to enable you to achieve these benefits. However, no one, not even an attorney, can charge you to assist with the preparation, presentation, and prosecution of your claim.